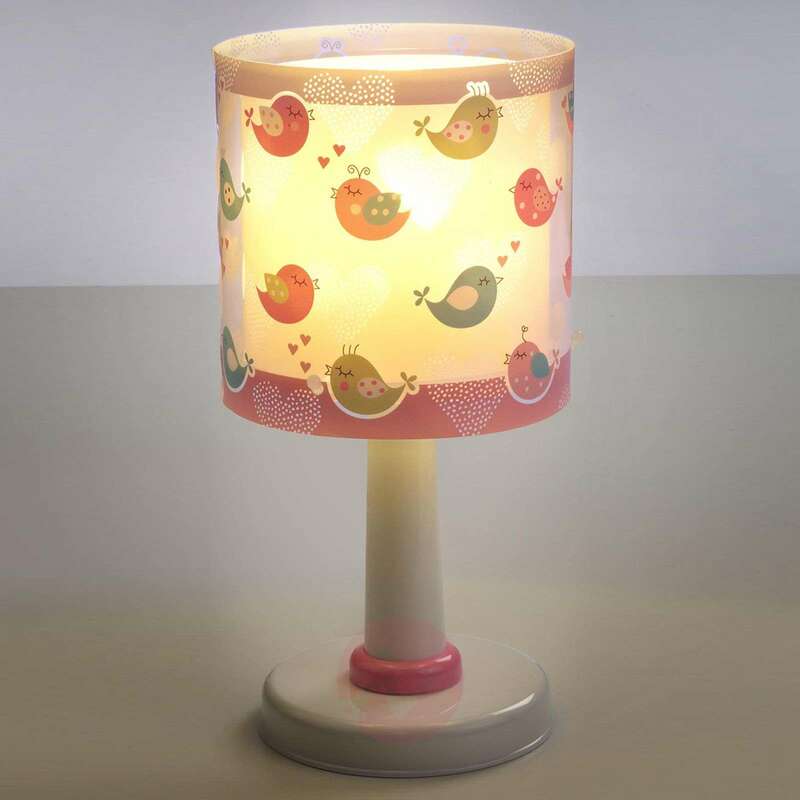 The little birds, which adorn the lampshade of this wonderful table lamp, chirp and sing to create a great atmosphere in the child’s bedroom! The birds don't just come in soft pink, like the rest of the light; instead they come in green and blue. 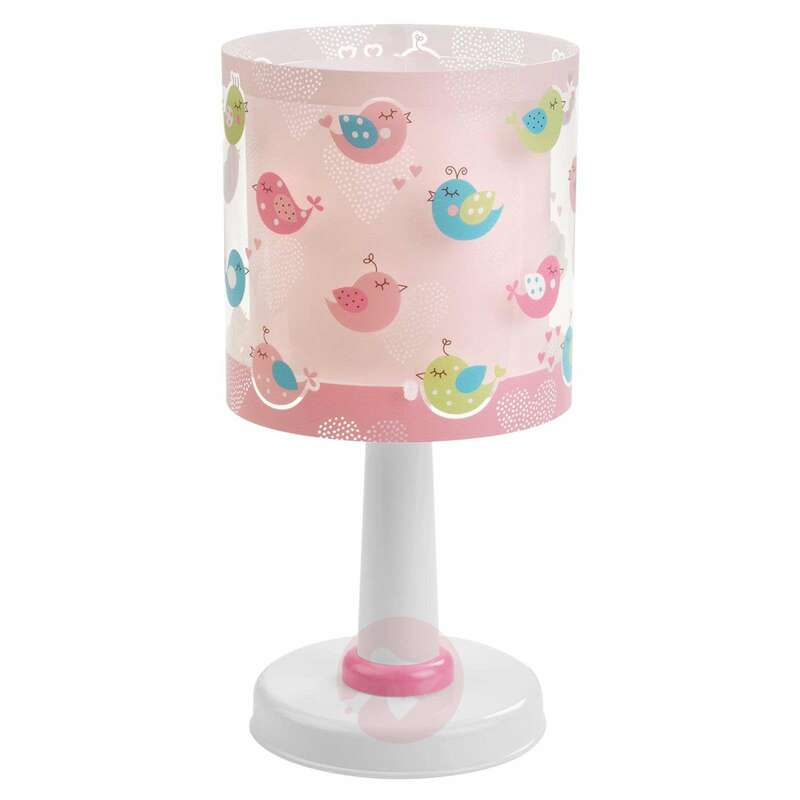 The lampshade also features several hearts, whilst the lower part offers a white base with a pink ring.